A Latham man is facing drug and other charges after leading police on a motorcycle chase in the early morning hours Saturday at speeds in excess of 90 miles per hour, according to the Highland County Sheriff’s Office. A deputy was on routine patrol when he attempted to stop a motorcycle driven by Rick J. Nichols, 41, for excessive speed at 12:34 a.m. in the North Shore Drive and Ayrshire Road area, Highland County Sheriff Donnie Barrera said. 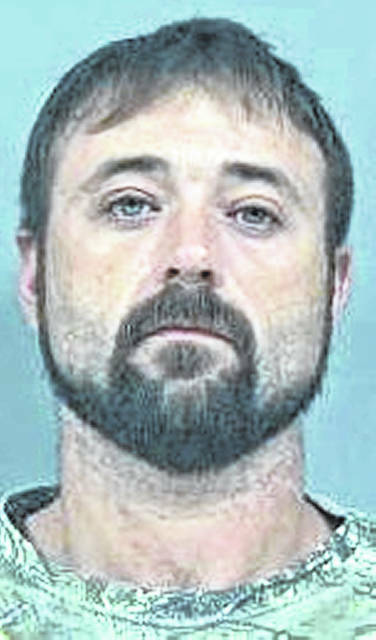 Nichols refused to stop, according to the sheriff’s office, and a pursuit that eventually involved three other law enforcement agencies headed eastbound on U.S. Route 50 into Ross County where it reached speeds in excess of 90 mph. Nichols turned south onto SR 41 and proceeded into Pike County. The chase continued through Cynthiana, back into Highland County and passed through Sinking Spring before it came to an end in Pike County near the intersection of SR 124 and Lapperell Road when Nichols lost control of the motorcycle and crashed, the sheriff’s office said. Nichols was not injured, but was apprehended when he crashed, according to the sheriff’s office. He was transported to the Highland County Justice Center. He was charged with speeding, possession of drugs, possession of drug abuse instruments and failure to comply with the order of a police officer, according to online records. During an arraignment Monday in Hillsboro Municipal Court, Nichols’ bond was set at $50,000. A pretrial was set for 9:30 a.m. on Aug. 28. If Nichols posts bond he is to observe an 8 p.m. to 6 a.m. curfew, not drive, and report to probation, online court records said. The Highland County Sheriff’s Office was assisted during the pursuit by the Ross County Sheriff’s Office, Ohio State Highway Patrol and the Pike County Sheriff’s Office.